Salvia Ostfriesland has slender upright spires of rich blue-violet flowers in early and mid-summer above wrinkled, mid-green leaves. This vibrant mid-border salvia is perfect for introducing a splash of a colour in a moist but well-drained border. 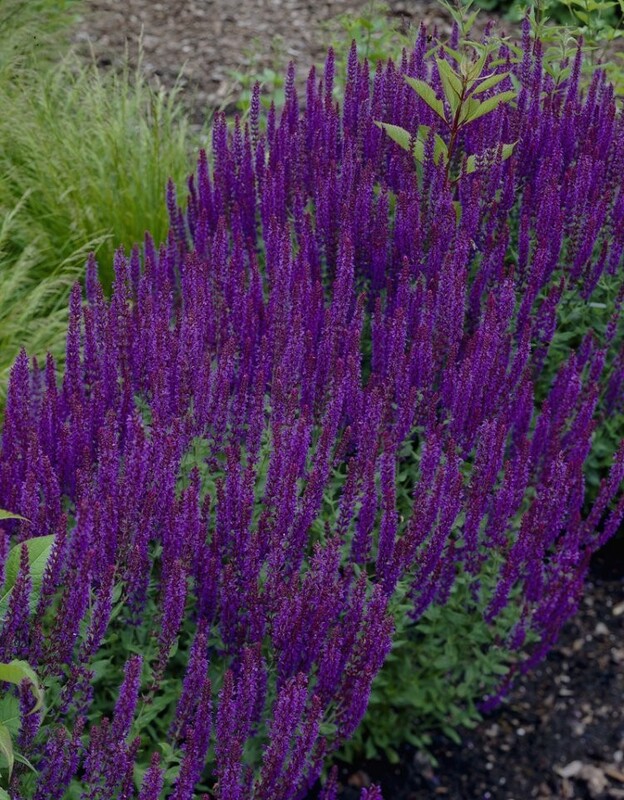 It flourishes in sun or light dappled shade and is highly attractive to butterflies and bees, creating a summer-long, lilac-blue haze with the many flower-spikes that rise from densely-clumped stems of rough-textured foliage. Great garden value and easy to grow. Pack of TEN Hardy Perennial Plants, each supplied in approx 1 litre pots.